Peter specialises in advising small to medium business clients engaged in activities across a variety of industries including professional services, building and construction, manufacturing, agriculture, wholesale and retail trading, and service industries. This regularly involves assistance with the business owner’s personal affairs as well as business operations. 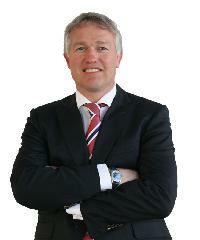 Peter joined VBW as a partner in 1993 After a successful career as a sole practitioner. Peter has over twenty years experience, working in the taxation and business services areas of various Chartered Accounting firms. He began his working career in commerce, which places him well to advise those in business. Contact Peter for full details of his expertise or to discuss a particular matter.